Saturday, September 15, 2018 - The Chinese have been flocking the Country and operating with impunity. Most of them are in the Country illegally and they still behave as if they own us because of the huge loans the Government has taken from China. 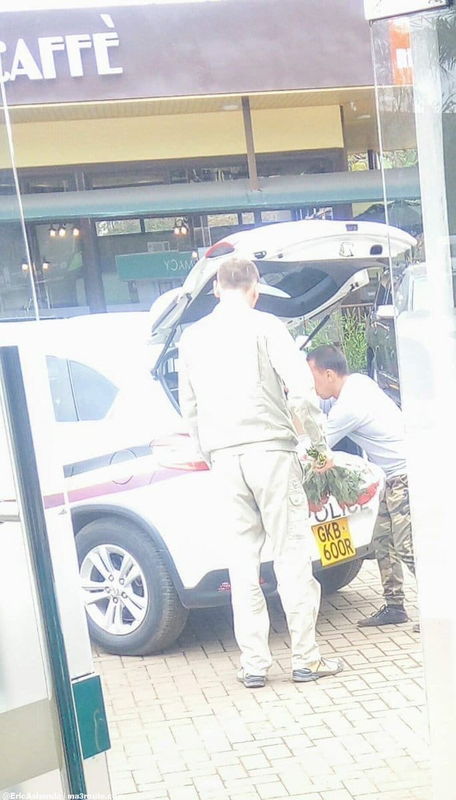 A concerned Kenyan captured these two Chinese who were doing shopping with a police car. These guys are really urinating on us. The IG of police from China is due to arrive in the country to inaugurate the new police uniform nd take over the police force.